Surf News Network, 29 May, 2016 – The final horn of the Titans of Mavericks surf contest had sounded a minute earlier, but Greg Long wasn’t going to let an expired contest clock prevent him from catching the biggest wave of the day. Long paddled past the last two surfers in the lineup (including event winner Nic Lamb) and air dropped through the offshore spray into the most menacing wave of the afternoon. Covered by an avalanche of whitewater, Long emerged for a split second before being tossed down the face like a ragdoll over Niagara Falls. Long didn’t win Mavericks (set to air nationally May 30 at 5 p.m. PST on FOX Sports 1) on this day, but his last ride won over the crowd, his fellow big-wave competitors, and further solidified his place as one of the gutsiest big wave surfers in the world. 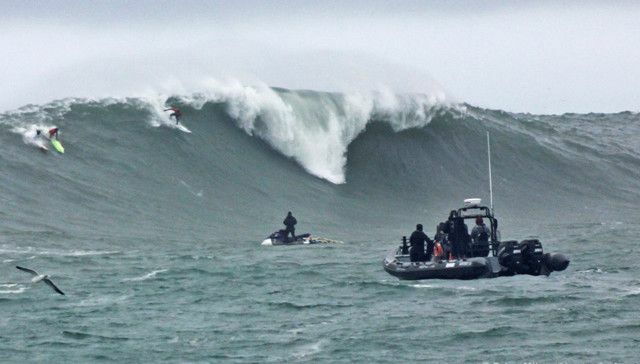 The 33-year-old from San Clemente, Calif., went on to win the Mavericks Boldest Drop Award at Pillar Point on Feb. 12, and two weeks later was named World Surf League Big Wave Tour champion for the second time. 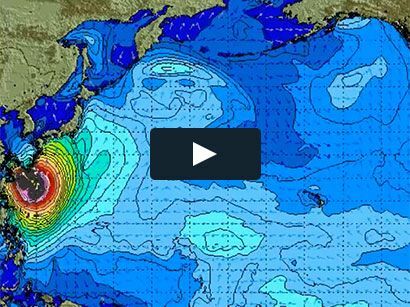 That perspective has changed since he last won the World Surf League Big Wave Tour in 2012, the same year he suffered a near fatal wipeout at the infamous offshore break at Cortes Bank. Long picks his words carefully when asked about his full-time return to competitive big-wave surfing, but doesn’t shy away from discussing the doubt, fear and uncertainty that flooded his psyche after a chilling four-wave hold down at Cortes Bank on Dec. 21, 2012. Long’s “ego,” as he called it, kept him competing shortly after the wipeout, but it wasn’t until he took six months off before he was able to decompress and really come to grips with what happened at Cortes Bank. More importantly, it helped him realize how his approach to surfing needed to change if he was to move forward with the sport. He needed to get back to having fun again. Long has had some big wins under his belt: Dungeons in South Africa (2003), Mavericks (2008) and Quiksilver in Memory of Eddie Aikau at Waimea Bay (2009). But this past season, he made as many headlines, not for winning events, but for patiently waiting for and charging the biggest waves of those contests. He then went on to win the Big Wave Tour title despite competing in only two of the three official WSL-sanctioned events: the Peah’i Challenge in Maui and Todos Santos Challenge in Mexico. With his finals appearances, Long completed the big-wave season with 21,266 points, holding off last year’s champion Makuakai Rothman, who finished with 16,994 points in all three sanctioned events. Last month, Long was also named athlete of the year by the Save The Waves Coalition, one of the many sustainable surf organizations he supports. Long has also been an ambassador for Sustainable Surf and the Surfrider Foundation. Things started to click again for Long at the Peah’i Challenge on Dec. 6, 2015. It was there, at the infamous surf break “Jaws,” where Long served notice he was back with one of the deepest barrel rides ever caught on camera. 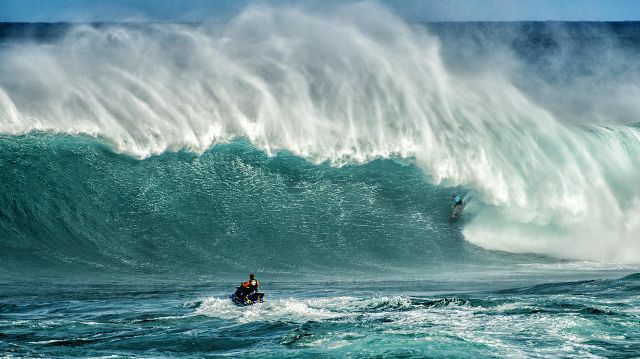 Long’s megalodon wave at Jaws was nominated for the Ride of the Year and Barrel of the Year categories at the 2016 WSL Big Wave Awards. Mavericks Red Bull TV commentator Sal Masekela echoed similar sentiments on Long’s grand finale after the Titans of Mavericks contest, which will be televised nationally on Memorial Day. “WHOA!” Masekela called at the time. “Greg Long’s like, ‘Come on, Ocean. I’m still going.’” Long is still going all right … even after the clock reads 0:00:00.